Home > News > We turn 11 today! Our company turns 11 today! We have done the amount of work, accumulated invaluable experience, created the team of professionals of the highest level. We are confident to face the future and determined to move forward, of course, with our partners, without whom our success wouldn’t be possible. 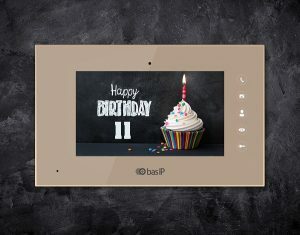 Thank everyone for your contribution in development of BAS-IP brand!